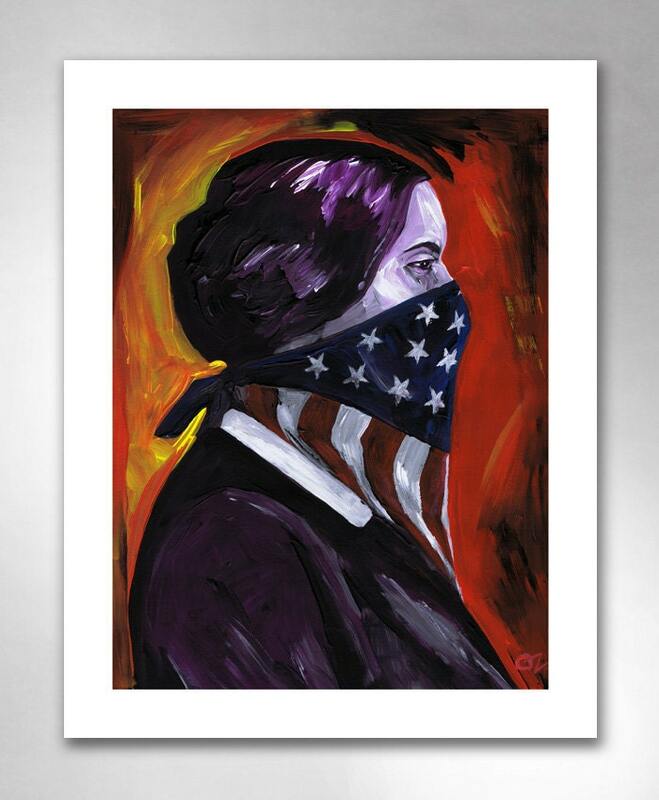 "Susan B. Anthony" art print by Rob Ozborne. THE STORY: Women had been denied the right to vote in the United States because, well, they were women. 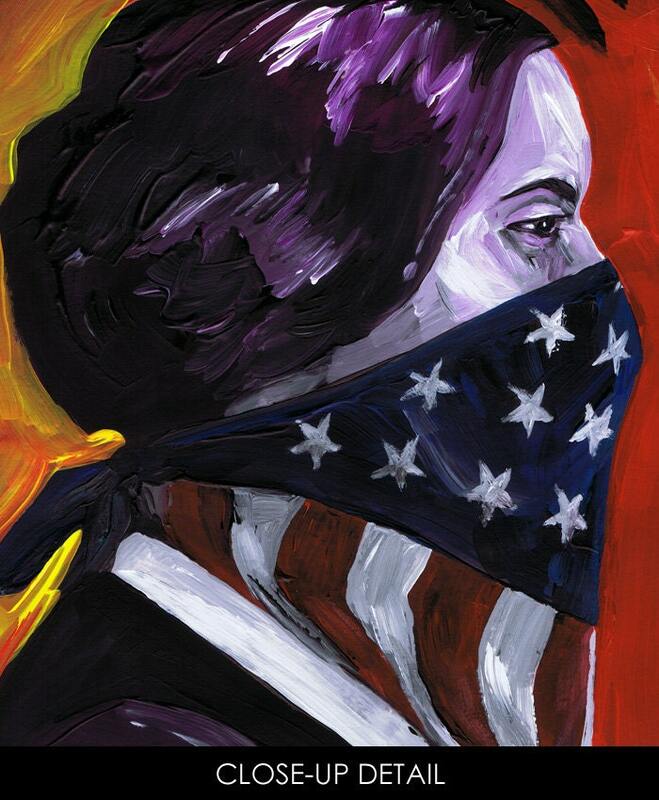 So, Susan B. Anthony traveled, lectured, pushed and campaigned to make change. She pressed for the abolition of slavery, the rights of women to own property and keep their earnings. She called for women's suffrage, the right of women to vote in the United States. Susan B. Anthony wouldn't live to see the passage of the Nineteenth Amendment to the United States Constitution, guaranteeing American women the right to vote. Often referred to as the "Anthony Amendment", she made an indelible contribution to it's passage. THE PRINT: This is a print of the original painting. The artwork is richly reproduced on 11"x14" (27.9cm x 35.6cm) bright white matte art paper. The frame is not included, but the print comes with a white border, and is ready to pop into a frame.